Baywatch was without a doubt one of the worlds largest shows, and arguably the first truly global syndication. The show ran from 1989 till 1999, and then following a name and cast change for a further two years. Baywatch revolved around the work and lives of a team of ridiculously good looking life guards in Santa Monica, California. Lets be very honest though, the main attraction was not the crazy story lines, or the witty dialog – this show rocked due to its cast. In this article we take a look at the Baywatch girls, and catch up on what they have been doing since the show ended. Yasmine starred as Caroline Holden, and was in our opinion the hottest of all the Baywatch stars. She first broke onto TV in a baby shampoo commercial at the age of 10 months all the way back in 1969. She was so amazingly hot back in the 90s that she figured prominently in the FHM 100 Sexiest Women list every year between 1996 and 2001. Towards the end of her role in Baywatch Yasmine went off the tracks literally by driving her car into the middle of Interstate 94, police found four syringes and a bad with cocaine residue in the car, and on a search of her hotel room more cocaine was discovered. 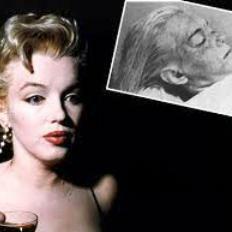 She wrote that her addiction was so severe that she collapsed during a photo shoot for Glamour. She was sentenced to two years of probation and subsequently entered rehabilitation and got herself clean. She disappeared off the TV screens shortly after, but continued charitable work for cancer charities as a result of loosing her mother to the disease.